Imagine for a moment that the year is 1797. The USA is a young adult, a country still developing both politically and geographically, still deciding who she is and how much land she wishes to control. To the north it’s been more than 30 years now since Great Britain shook off the French and Canada is now a British colony. The fur trade is the dominant force in the Canadian interior, with the North West Company competing hard to be the dominate player in that industry. 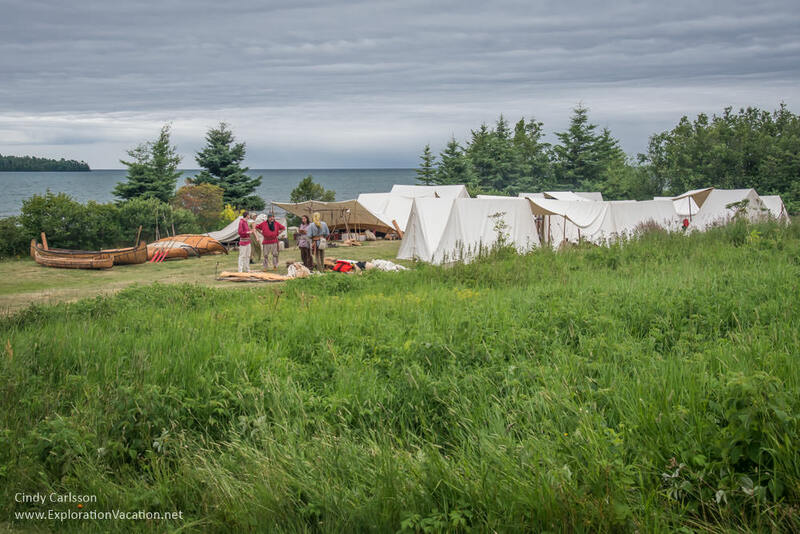 It is summer now and the agents, staff, and trading partners of the North West Company have gathered at their depot in Grand Marais for the annual rendezvous. Building on the ancient gatherings of the area’s native population, the rendezvous is a combination company meeting, trade fair, and party. And there is both a lot of business to conduct and reason for celebration. The North West Company has been very successful since its establishment less than 20 years ago, and now its employees include something on the order of 2,000 agents, guides, clerks, interpreters, and others; many of who have gathered here on the shore of Lake Superior to conduct business, recuperate, and celebrate. They are joined here by their Native neighbors and partners, as well as others drawn to this large gathering for reasons both personal and commercial. Let’s go see what they are up to. The depot’s Great Hall is relatively quiet when we arrive. While business will be conducted here throughout the gathering, most of the action is elsewhere at this particular moment. However, musicians have congregated along the hall’s long porch, perhaps practicing for the evening’s Regale when music and dancing (and strong drink) will enhance the merrymaking. Certainly the upcoming Regale is on the minds of the kitchen staff, as the kitchen is a buzzing hive of activity. It appears the men of the North West Company will eat well this year! 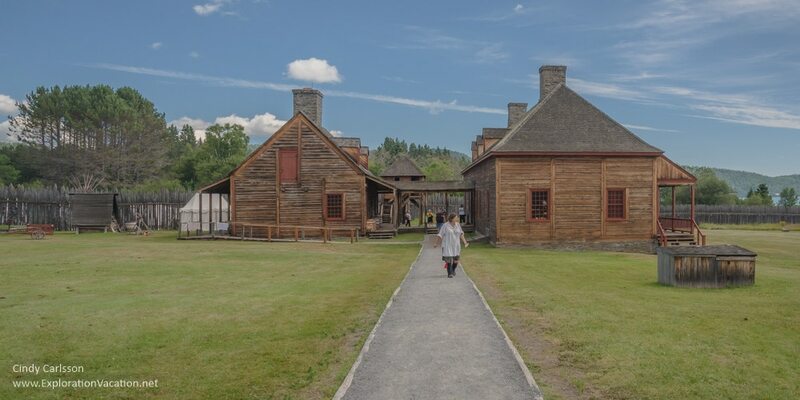 I know the kitchen isn’t the only place where there is activity, so we cross the post’s yard, slip through the cedar pickets that surround the depot itself, and follow along the stockade to the north men’s encampment. 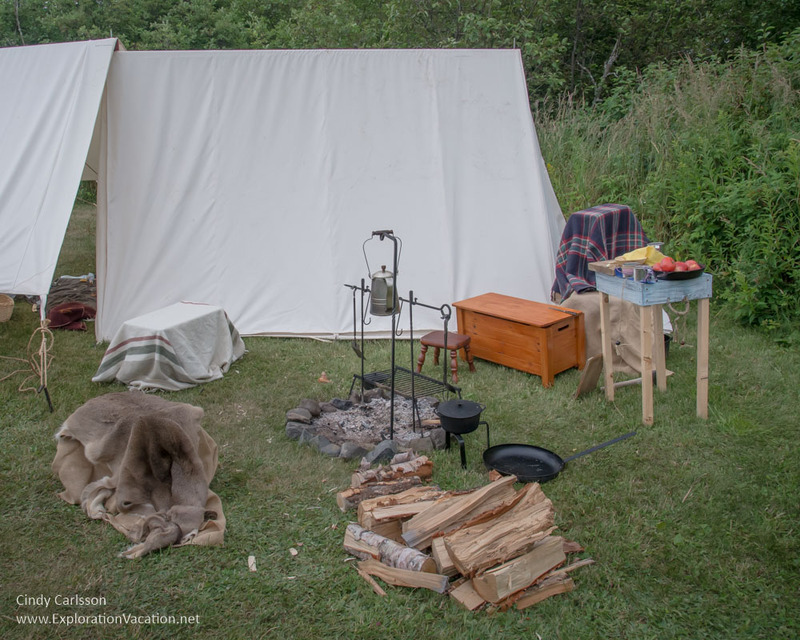 This is the camp of the North men, the Voyageurs who travel the continent along its rivers to bring furs collected from native communities here for shipment to Montreal and the world beyond. Of course, theirs is not the only camp here. For example, the Pork Eaters who have paddled their massive canoes along the edge of Lake Superior from Montreal are camped amid their canoes along the shore. And there must not be enough housing within the depot for all of the partners and clerks, as I spy gentlemen in fine clothing and campsites stocked with silver and good wine amid the trees. 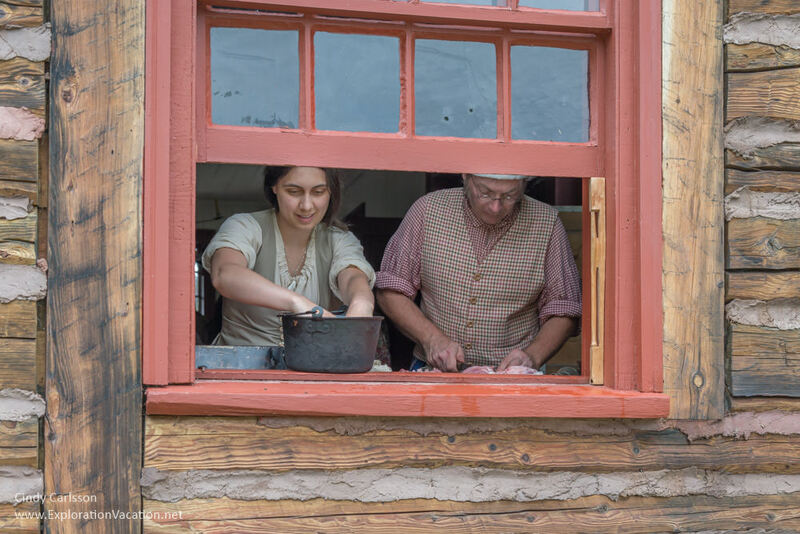 And there are visitors here too – I meet a Métis family from the west who is here to reconnect with family and friends and a wanderer from Virginia who shares the music of the British Isles with the Scots and Frenchmen from Quebec who comprise the vast majority of the fur trade labor force. As I wander through the camps I meet peddlers and weavers, cooks hard at work, canoe builders and blacksmiths . . . a whole range of skills needed to keep this complex and wide-ranging enterprise running. It’s been a good year. Would anyone here believe me if I told them this post will be gone in less than 10 years, the depot dismantled and relocated firmly within Canadian territory 50 miles north at Fort Williams? Would they believe that the fur trade will still be strong, but already in decline? That the days of the Grand Portage were ending and the world as they know it already changing? 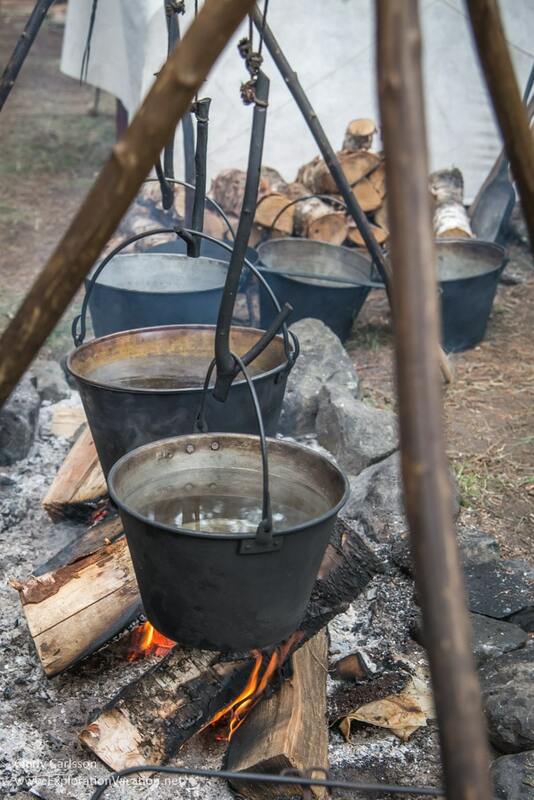 As in olden days, the Rendezvous at Grand Portage is an annual event. 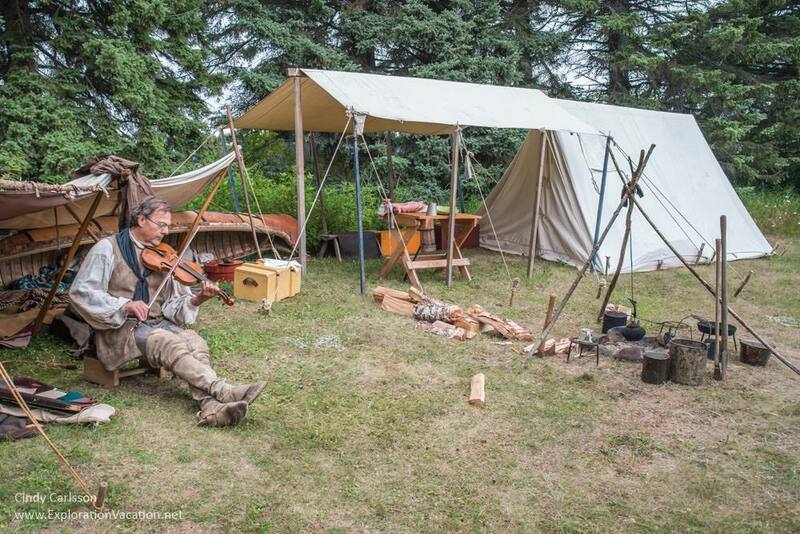 Each year, on the second full weekend of August, the Grand Portage National Monument invites reenactors to come to the site and bring the post’s heady days back to life. The public is welcome attend (for free!) during the day when a variety of demonstrations, activities and classes are available. Linking to Travel Photo Thursday at Nancie’s Budget Traveler’s Sandbox. . .
Beautiful photos which really show us the way it used to be. Such attention to detail – I really felt like I was transported back in time. Thank you. 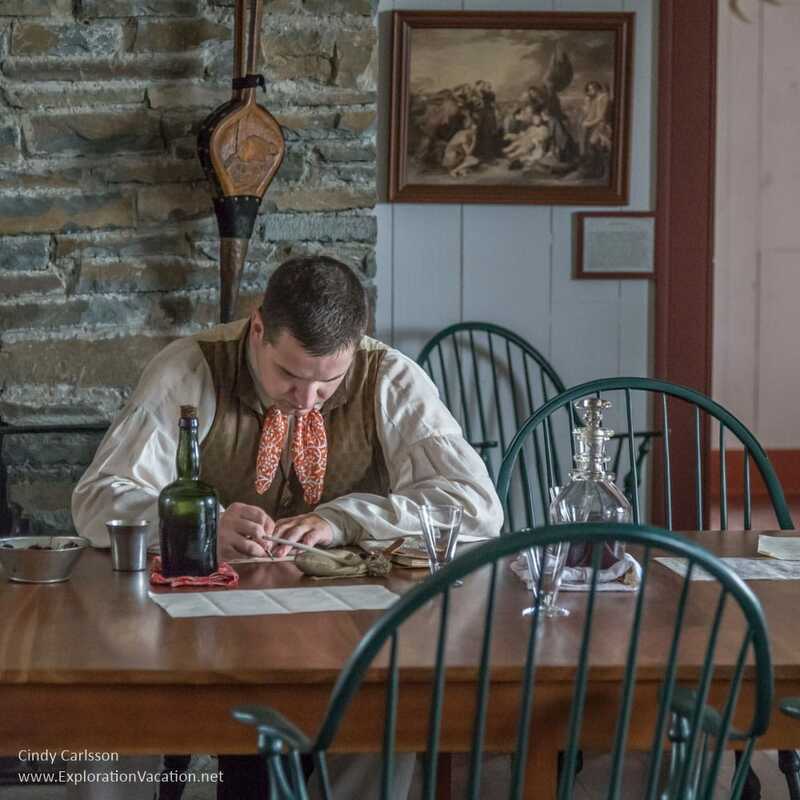 The re-enactors do a really nice job of creating a believable illusion, but I suspect it was all a lot cleaner than it would have been in 1797! There is a new oil pipeline is planned to run through the heart of northern Minnesota lake country (another gorgeous area of state and the home of several Indian nations) and end in Duluth, so not as likely to havea big impact on Lake Superior itself unless there is a big spill in the watershed near the lake. What is more likely to impact Lake Superior is new copper, nickel and other mining activity near the boundary waters. And no, Lydia, we’ve not done a good job on our “progress” – the fur traders eliminated most fur-bearing animals from many areas before the industry collapsed due to the rising popularity of silk. Some of those populations eventually returned, others never did. Humans seem to be exceptionally slow learners . . . It’s always about NOW and not the future. A lovely post, Cindy. I especially loved the clothing. We visited the MHS Northwest Post at Pine City for the first time this summer. 30 years of living in Chisago County and we had never been there! It was wonderful and very informative. Thank you, Sue. I’m glad to hear the Pine City fur post is interesting too – we are planning a trip up there sometime soon too. We’ve never been their either, even though I have relatives in the area. . . . it’s funny how hard it can be to get to things that are nearby! Beautiful post! We used to participate in Rendezvous as reenactors when we lived in the Midwest. We still have all of the clothing, the tent, the iron cooking equipment, everything. But now we live in the South where reenactment is oriented around the Civil War. I really miss the Rendezvous events. Best times of our lives! Wow! That’s really cool. It seems like both a lot of fun and a lot of work (or maybe just a lot of time) – I couldn’t believe how much stuff everyone had to make everything look real. It did look like my kind of camping though, with those big canvas tents and all that gear. 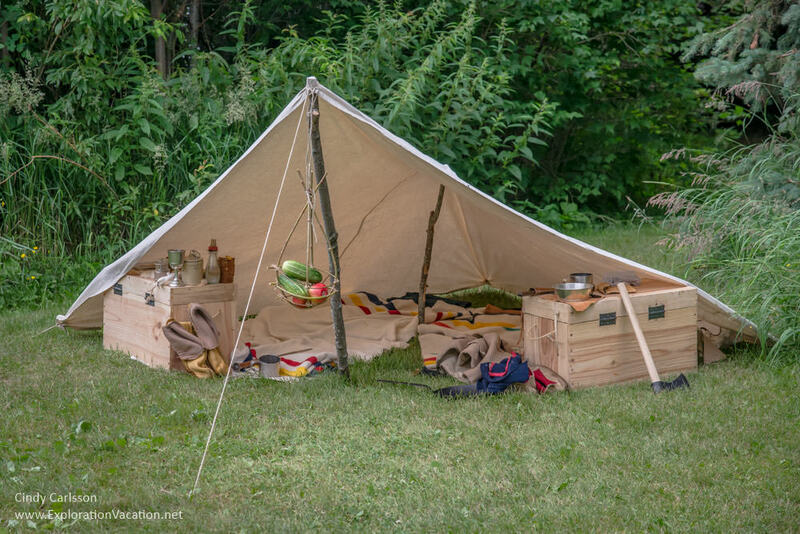 Or maybe that was just the agents – one of the tents had a silver service set up! You might need to make a road trip up her to participate someday! It was a lot of fun and a whole lot of work. I’m glad you got to experience it as a visitor. Your photos were wonderful! I really feel like I was in 1797. The people, the buildings, the tools; everything looks so realistic. I really like the way you have captured all (first time I heard about this National Monument). I like to attend Medieval Fairs and similar events but I think they cannot compare since this event is backup by historians. Thanks, Ruth. 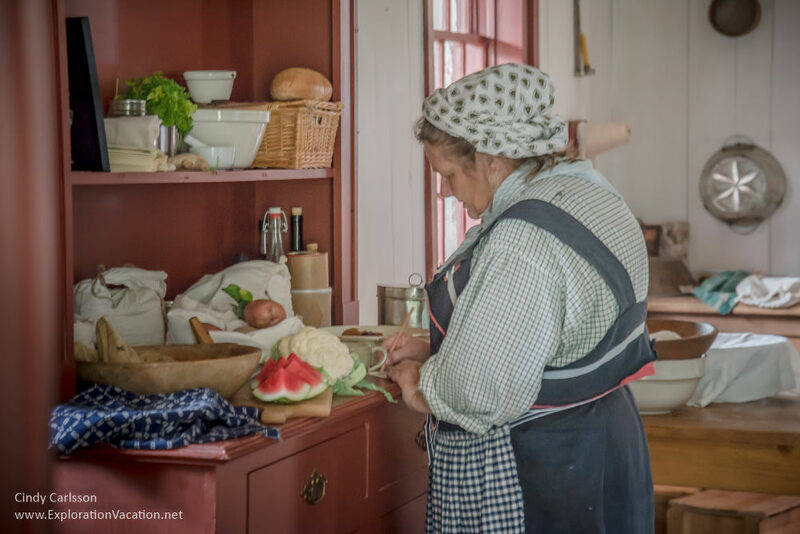 They do a really nice job of keeping it realistic – there are a lot of rules established by the park service because it is at a historical site, but the renactors there were really interested in maintaining historic accuracy. (It’s an odd historical site because it really was more important for the development of Canada than the US, but it ended up in the US.) We have a big Renaissance Festival here – they used to try to keep it authentic, but that didn’t draw enough people so now there are fairies and all sorts of goofy stuff. It got strange and is now a mix of historical re-enactment and fantasy. Thanks, Nancie. Always nice to be par of Travel Photo Thursday! 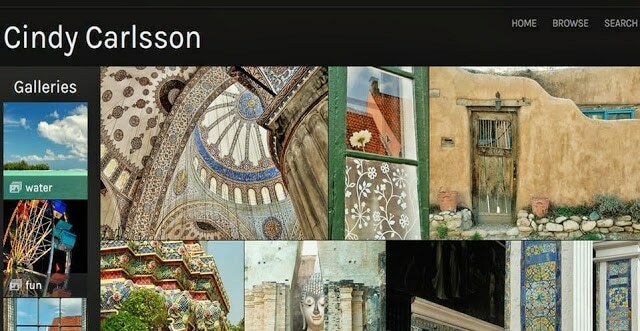 Wow, these photos are amazing. Like the US, I come from a young country too, Australia. Thank you, Paula. Isn’t it nice to know that every country has interesting history, even if there aren’t as many layers of it as in some parts of the world. . .